El ciclo de Jueces del rechazo al rescate y de regreso (Jueces 2:11-19). 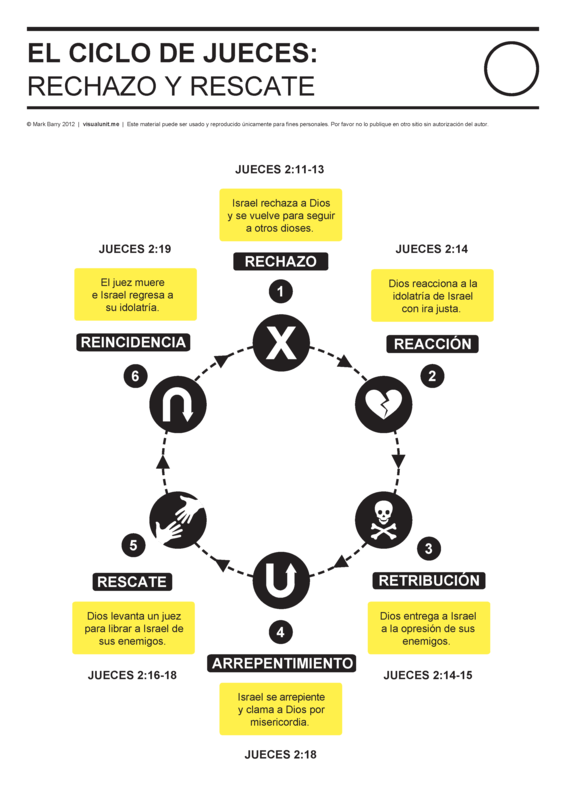 Spanish version of the Cycle of Judges. PDF version (262 KB). This entry was posted in Spanish and tagged Judges, Old Testament. Bookmark the permalink.